Even though the job market has become more versatile than it ever was before in the 21st century, sometimes having too much choice can be as difficult as not having enough. Still, when choosing your future profession, you must keep your eyes wide and keep all variables in check. When it comes to a job that is creative, dynamic, yet highly lucrative, network marketing has no equal. However, you should always think carefully before taking on a job. With this in mind, here are a few things that may help you decide if network marketing is right for you. First thing's first, your success in the world of digital marketing depends solely on your effort. Some like to attribute this to luck, but this is not only inaccurate but even disrespectful. The landscape of network marketing is constantly shifting, with new trends appearing day in and day out. In order to stay in touch with something as volatile, you will need to invest a lot of your time and effort in self-improvement. 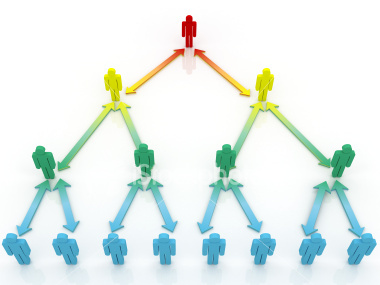 Follow market research and always be on the lookout for the latest network marketing tips. Some people believe that network marketing is the same as selling things online, which is as far from the truth as it gets. By working in network marketing, you are simply trying to raise awareness about a brand and raise the popular opinion of it. This is why in order to be a great marketer, you don’t have to be great at sales. In fact, the further your job seems to be from direct sales, the better you are at marketing. Finally, although it is true that most successful sales people are extroverts, seeing how network marketing is nothing like sales, there is no reason why introverts shouldn’t excel at it. In fact, their ability to observe the bigger picture usually gives introverts a strategic advantage that can be valuable in this line of work. As we all know, the era of the Internet has allowed the existence of an ever-growing number of home based startups. According to some of the latest data, the largest number of those startups are in the network marketing industry. The reason behind this is that in network marketing, you are not spatially bound. All you need to do is set up a simple home office and you will be ready to go. This however means that you will have to invest a bit towards furnishing it in the right way, but seeing how your productivity depends on it, this is not a good place to save money on. On the other hand, working from home (not only in network marketing) requires a lot of self-discipline, because you are your own boss, your own manager and your own overseer. This means that you can make a break at any time, and prolong it so that it lasts for an entire day without anything getting done. However, those few who can successfully cope with this may learn how to utilize their time so that they are the most effective. If you believe that you have what it takes, this might be the job for you. To sum up, network marketing is something best suited for those who value resourcefulness, strategy and creativity above all else. If this seems like something you believe you are good at, then it is most definitely the right choice for you to make. Furthermore, this profession is quite lucrative and leaves a lot of room for advancement. In fact, if you have what it takes, it would be absolutely reckless not to consider it a potential career choice. Norah Martin has been timidly exploring the world of marketing for years, finally taking the plunge and becoming a small business owner herself. She is now devoted more than ever to the exploration of the latest trends, and has become quite addicted – she spends way too much time reading up on the latest social media crazes. She blogs over at BizzmarkBlog.